More and more riders are drawn into eventing by the excitement of galloping over solid fences on a grass track. 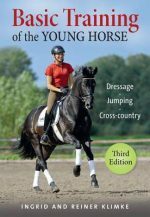 Written by an experienced trainer, judge, and course designer, this book describes all the important requirements for safely improving your horse’s ability in the cross-country phase. Training programs and instructions for coping with specific cross-country obstacles are also included.